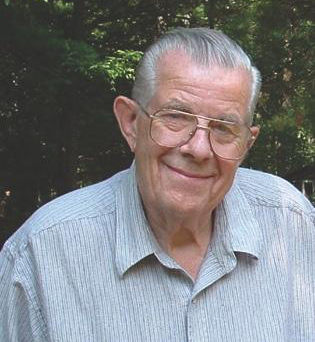 Alfred L. Hawkes, often referred to as the “environmental conscience of Rhode Island for decades,” died March 15. He was 90. During his 35-year tenure (1958-1993) as executive director of the Audubon Society of Rhode Island, Mr. Hawkes guided the organization through its most critical growth period and was recognized as a strong, statewide leader for shaping early environmental action and consciousness in the state. Mr. Hawkes, who began his advocacy career as an educator in the 1950s, fought for land conservation and state regulations on pesticides, and against water pollution. In the 1960s, he brought attention to the threat to Narragansett Bay posed by oil spills. He spoke out against the filling of wetlands long before there was real concern. He founded the Environment Council of Rhode Island in 1972 to unify the voice of Rhode Island’s environmental community. He received numerous honors and awards for his work, including honorary doctorates from Brown University, Rhode Island College and the University of Rhode Island. In 2011, the Rhode Island Natural History Survey presented Mr. Hawkes with its Distinguished Naturalist Award. Natural History Survey staff said he was good at persuading politicians to support his positions. The sense of confidence, caring, and trustworthiness that he projected also reassured potential donors. Under his direction, strategic meetings to address the increasing environmental concerns of the 1960s were held at Audubon headquarters in Providence, including the ban of DDT, a chemical that caused the steep decline of osprey and other raptors. Eugenia Marks, former policy director for the Audubon Society of Rhode Island and one of the state’s most respected environmentalists, has told many she credits Mr. Hawkes with providing her with an ample amount of inspiration. She has noted that Mr. Hawkes expanded the Audubon Society of Rhode Island beyond a birders’ enclave focused on preserving land as bird habitat. In the 1960s and ’70s, when the science of ecology captured the popular imagination, he widened the organization’s vision to tackle a broad array of environmental issues. He moved the organization from a small group of people concerned about birds to an organization with a strong voice at the Statehouse and a recognized leader in environmental education and conservation. Mr. Hawkes hired Marks in 1982 to assist in policymaking and tutored her in lobbying and advocacy. Their big campaign in the 1980s was to stop the Big River project — a proposed reservoir and waterworks for which the state bought 8,400 acres of land in the middle of Rhode Island. Hawkes and Marks helped stop the reservoir from being built. The property is now called the Big River Management Area, and features some of the Ocean State’s healthiest wetlands and streamflows. Those who knew him said he had an affable, modest demeanor that served him well in his determined efforts to move environmental issues forward. They say Mr. Hawkes was just as comfortable sitting in the governor’s office as he was working with a group of young students in the field. He will long be remembered for shaping the modern environmental movement in Rhode Island. A Mass was held March 19 at St. Joseph’s Catholic Church in North Scituate. The burial was private.